After two albums, England's premier post-punk revivalists Editors were at a crossroads. Their debut was a commanding snapshot of a young band whose emotional urgency outweighed its slavish devotion to the sounds of late-'70s/early-'80s Manchester -- there was no getting around singer Tom Smith's similarity to Ian Curtis -- but the power and passion of the songs trumped any "British Interpol" accusations. The follow-up found the band falling victim to the dread sophomore jinx, turning out a lackluster rehash of the same ideas as the debut. Ironically, it sold better than the first. Whether or not the band recognized they had come to a musical dead-end despite their booming sales, they were apparently wise enough to know it was time for a change in direction, and they decided to take a rather drastic left turn for their third outing. They've by and large ditched the guitars in favor of synthesizers, for a sound that's more New Order/Ultravox sleek than post-punk scrappy. If you open your mind up wide enough, you can draw a parallel to Van Halen's 1984 -- the sound of a guitar band getting its synth on but retaining its musical identity. 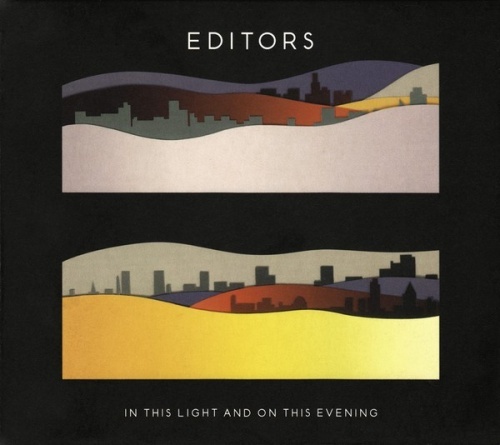 While the shift to an electronic approach opens up more possibilities for the band in terms of dynamics, arrangements, and melodic contours -- there's a noticeable slant towards catchy refrains rather than billowing atmosphere -- this is still very obviously an Editors album. Smith's Curtis-like tones still boom out authoritatively, and the ominous intensity of old is a constant presence. And while it seems they will probably never equal the majesty of their debut, Editors have dug themselves out of their artistic cul de sac at least long enough to plan their next move.